Can you believe we’re over halfway through 2017? Winter is finally upon us here in Brisbane and I’m finding it a little harder to get out of bed in the dark. It feels like only yesterday we were discussing new year’s resolutions. On the topic of resolutions, it’s a good time to revisit the goals you set at the beginning of the year. If you’re on your way to achieving your goal, way to go! If the gym equipment you bought at the start of the year collecting dust, I can relate! One of my goals at the start of 2017 was to bulk up. Specifically, I wanted to gain two kilograms of lean muscle by the end of March. Six months later, I’m only halfway to my goal. I’m disappointed with my lack of progress but, if I’m honest, I haven’t stuck to the original plan. I skipped a workout here and there. One less workout a week doesn’t sound like a big deal but over the course of six months that’s 24 skipped workouts, 24 missed opportunities to build muscle. I over-indulged in beer and corn chips while watching the football (and then ‘forgot’ to track them). Given how the importance of nutrition, I shouldn’t be surprised by my lack of progress. No excuses. I simply didn’t adhere to my four-day strength program and nutrition plan designed to build muscle. What’s done is done. It’s time to get back on track. Gaining muscle is still my goal and, the simple act of revisiting my goal has re-ignited my drive. Provided I stick to the plan, a gain of one kilo by the end of August is realistic. I’ve taken new measurements and photos to use as a benchmark and, Georgina will crack the whip, ensuring I don’t skip workouts and keeping an eye on my footy snacks. If your own resolutions are but a distant memory, that’s ok. Now is the perfect time to pause, reflect and take stock. Think back to what you wanted to create or achieve in 2017. How do you feel about this now? Do you need to set a new goal or take action to get yourself back on track? If you didn’t set a resolution, check out my new year’s post and download your free SMART goal template. Goal-setting isn’t just reserved for January 1. Think about what you want your life to look and feel like in six months time. take a photo and key measurements. A good PT is equal parts cheerleader and drill sergeant. If goal-setting isn’t the problem but motivation is, a couple of personal training sessions might be all you need to get your mojo back. Personal training provides a structured workout environment, so you don’t have to think about what to do or when. means there is always someone on hand to answer your nutrition and fitness-related questions. We offer a range of personal training packages and sessions and, if you belong to a private health fund, you may be eligible for a rebate. What’s Inside My Mental Health Toolkit? Cardio vs Weights: Which is Better for Weight Loss? Subscribe and get your FREE e-book! 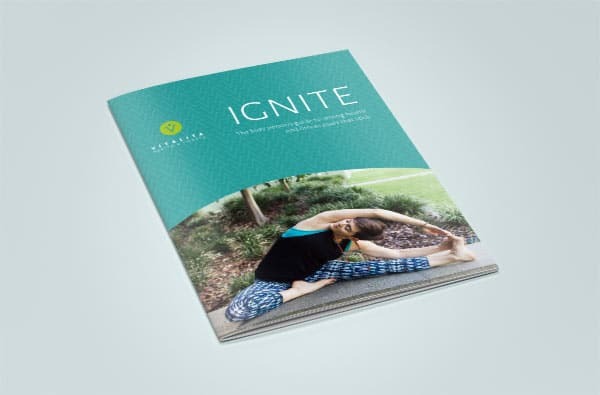 Subscribe and receive your free and life-changing copy of our ebook: IGNITE - the busy person's guide to setting health goals that stick. Your privacy is important to us. We won't share your details to any third parties.